You are in : All News > Australia eyes Agriculture 4.0 opportunity: Can Down Under come out on top? 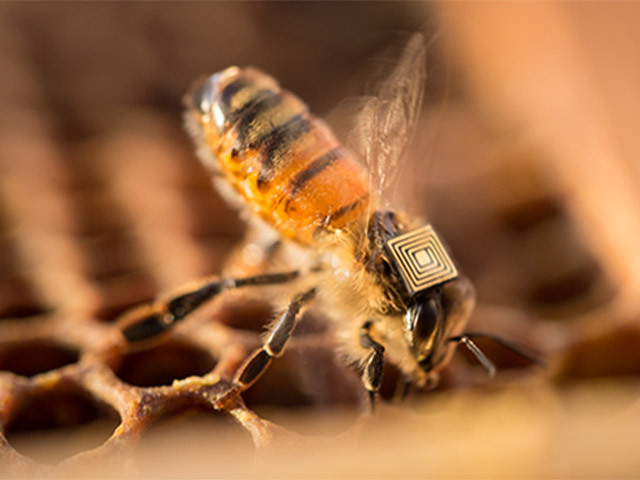 22 Feb 2019 --- Bees with backpacks containing micro-sensors and a spectral satellite connected data analytics engine to estimate crop performance are just two examples of how Australian agri-innovation can help initiate an Agriculture 4.0 wave. “Agriculture 4.0 is the latest evolution of the agricultural life cycle stimulated by digital disruption at all stages of the food supply chain,” Cassandra Keener, Investment Director Chicago at the Australian Trade and Investment Commission (Austrade), explains to FoodIngredientsFirst. “Just as Germany is driving economic growth through Industry 4.0, Australia can lead the world in Agriculture 4.0 for the benefit of the Australian economy,” she notes. “Australia has a strong history of innovation and technology adoption in agriculture, and is an established global player and exporter of both food and agriculture commodities and products,” says Keener. “Australia also has significant government and industry support and appetite for collaborative research efforts that benefit the food and agriculture industries, as well as infrastructure for development and testing of novel products and technologies,” she adds. For Keener, Australia can further enable the success of new products and technologies through its strong and export-oriented agribusiness and food industries, including established supply chains into Asian markets where demand for food is projected to increase. “Finally, starting in 2016, Australia has been experiencing significant momentum for, and development of supporting resources focused on, commercialization, growth, and international expansion of agtech and foodtech research and innovations, including examples of successful international commercialization of agtech innovations,” she adds. Australian farmers and food producers are recognized globally for their innovation, using technology to drive consistent productivity growth, develop better quality products and build globally competitive businesses. Despite facing some of the harshest environmental and climate conditions on the planet, they have made the country a top five producer of barley, oats, chickpeas, almonds, beef, sheep and wool. Australia’s government invests more than A$600 million (US$424 million) a year in agricultural research and development, and supports a National Farmers’ Federation initiative to grow Australian agriculture to become an A$100 billion (US$71 billion) industry by 2030. A great recent example of innovation to come out of an Australian led project is the Global Initiative for Honey bee Health (GIHH), which commenced in 2016. The collaboration between the CSIRO (Australia’s national science organization), hundreds of international researchers, farmers and beekeepers, as well as industry partners including Intel, Japan’s Hitachi Chemicals and Brazilian mining company Vale. The catalyst for the GIHH is a power-efficient micro-sensor platform, developed by Paulo de Souza, an expert in micro-sensors at CSIRO and his team from CSIRO’s Data61 business unit. Click to EnlargeThe catalyst for the GIHH is a power-efficient micro-sensor platform, developed by CSIRO’s Data61 business unit.For the first time, researchers can track individual bees in unprecedented detail: the duration of foraging missions, the rest periods between flights and movement between hives. They even know the precise time of death, as the sensors last the duration of the bee’s life – between two and four months. Using the data collected from these micro-sensors, teams can more effectively assess the impact of different stress factors. Earlier this month, we reported on a high profile study on insect numbers around the world which found that 40 percent of insect species are now facing extinction in the next few decades. This type of research work into the most polluting factors must be part of the solution to stem a devastating tide. A more recent case study (January 2019) comes from an Australian crop health monitoring agtech start-up, FluroSat, which is helping farmers grow better crops, and grow them more efficiently – both in Australia and internationally. FluroSat uses state-of-the-art crop models, combined with remote sensing imagery and local weather data, to estimate crop performance in season and suggest precision fixes to improve the grower’s triple bottom line. FluroSense, the analytics engine that runs these optimizations, connects to farm management systems and weather stations and sources satellite or aerial imagery. FluroSat takes the information from the remote sensing imagery and translates it into actionable data that farmers can use – in real time – to make informed decisions about crop management and crop health. For Keener, the notion of Agriculture 4.0 will be “extremely important” to feed the world’s bulging population while simultaneously coping with the impact of climate change. “As the global population increases, and simultaneously grows wealthier and more discerning about their food supply, demand for high-quality, nutritious food products produced along transparent supply chains is increasing,” she says. “These shifting consumer demands are driving change by food producers to adapt to the fast-paced business and market realities of today’s digitally-enabled world, and cope with increased demand for scarce resources and variabilities in global climatic conditions,” Keener adds. This summer, Australia faced a particularly devastating hot summer and floods, but weather induced challenges are a regular event that makes innovative thinking a complete necessity in the agriculture space. “For decades, Australia’s climate, from extreme heat and drought to devastating floods, has always been an issue, inspiring innovation in this space,” says Keener. Global leaders in agtech and foodtech, such as Cisco and Bosch, are choosing Australia as a base to expand their innovation work under the Agriculture 4.0 banner. Cisco has invested in Australian agtech by establishing innovation centers in Perth and Sydney, two of only ten centers of innovation in Cisco’s global network. Leveraging the country’s strong agriculture industry, Cisco Australia is currently trialing a new innovation in agtech: the Farm Decision Platform (FDP). Cisco’s core competencies in IoT innovation, cyber security and network connectivity are crucial to enabling Australian farmers to tap into the benefits of agtech. At Innovation Central in Sydney, Cisco is resolving the issue of on-farm connectivity through the development of its Farm Decision Platform (FDP). The smart farming platform was designed as an open system where applications and other technology solutions can be developed and commercialized by independent parties, similar to how a smartphone enables app development. With FDP on the farm, third parties only need to focus on their app or sensor – everything else, including on-farm connectivity, data collection and security, is taken care of. FDP can function both with and without internet access. Farmers can connect to any sensor on their farm immediately, without the need for a telco, and the connectivity is free as it uses unlicensed spectrum. Since its inception last year, FDP has been installed on a number of farms, which has been shown to make an enormous difference to farmer productivity. The FDP is being trialed in New South Wales to provide farmers with real-time data across their network. Industry partners can host their applications on the platform. Cisco’s aim is to take this solution to the rest of the global together with its agtech partners. Keener notes that the role for collaboration between governments and industry is very important and that there is still significant room for growth for the country’s agri position. “While Australia is already the twelfth largest exporter of agricultural products in the world, the local industry and government recognizes there is room to grow,” she says. “Because of this, Australia offers significant government funding and legislative support for agtech and foodtech research, innovation, investment and commercialization efforts. We of course would like to see the continued growth of sustainable food and crops globally utilizing Australian ag and food technology,” Keener concludes. 1. Its rich history as a world-leading producer of agricultural commodities. 2. The strength of its agricultural research and scientific capabilities. 3. The food and agriculture industry’s willingness to trial and adopt new solutions. The notion of Agriculture 4.0 may well thrive in troubling times, as factors that may have been taken for granted in the past, including cheap labor and guaranteed water supply, undergo challenges in different regions around the world. At the end of 2018, we reported on how clearing the house with new agricultural strategies may be one bright unintended consequence amid a wave of negative headlines around Brexit. 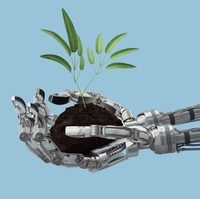 Researchers from the UK’s University of East Anglia note that robotics that could plug potentially lost labor post-Brexit in industries such as fruit picking, while Artificial Intelligence (AI) could enable better chemical applications, saving farmers money and protecting the environment. Agriculture 4.0 may take many forms, but this wide concept is seeing new ideas grow across the world. The vast and sparse Australian agricultural landscape can undoubtedly be a fertile ground for innovation too.